Happy Friday all :) I'm thrilled to be sharing this finish with you today because according to Instagram, I started it 99 weeks ago!!! Wow, that's embarrassing. When I came home from Sew Down Nashville a couple of years ago I packed the few blocks I had completed away and pretty much forgot about them until last week. Clearly it didn't take me long to finish the other blocks, so it's a shame I waited so long. 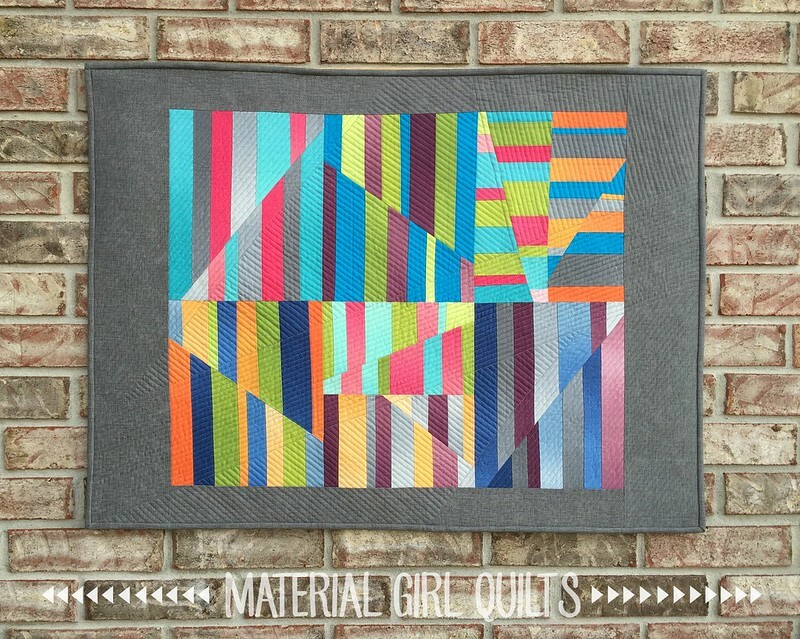 The pattern is called Aerial by Carolyn Friedlander and is foundation paper pieced, but would be great for a beginning paper piecer (no tiny pieces and all straight lines!). I wasn't sure at first how to quilt it once I got the top together. 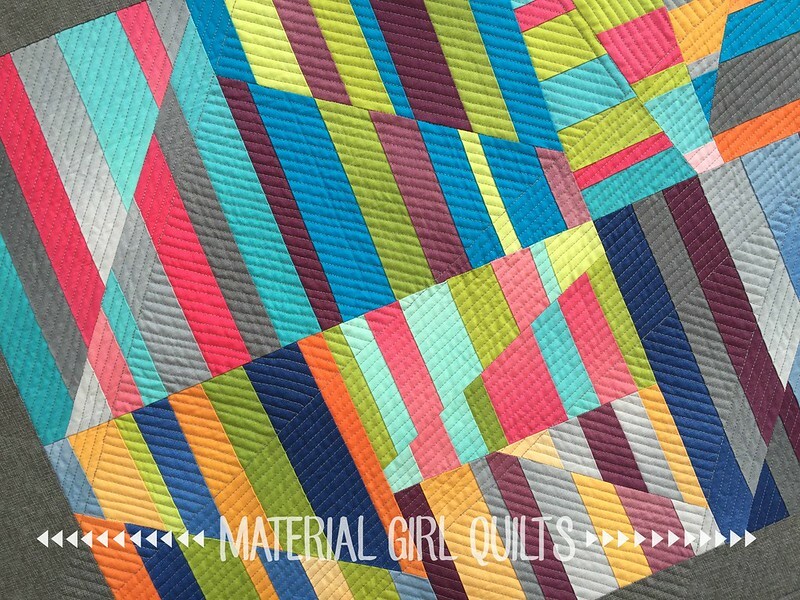 I decided to just play off some of the lines in the top and basically quilt it within an inch of its life! 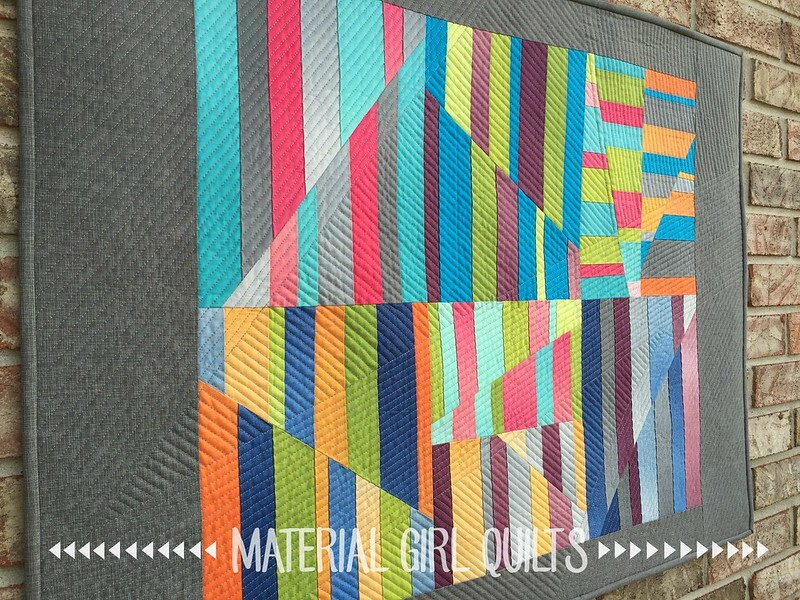 I used Aurifil 50 wt #2625 (Arctic Ice) because it matched my border fabric perfectly and seemed to blend nicely with all of the bright colors. 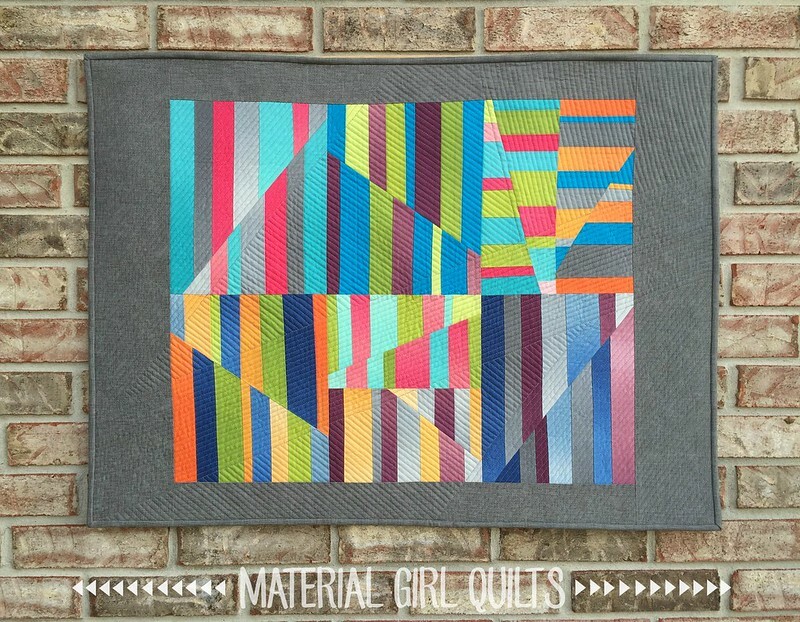 The fabric for the blocks were almost all from an old V&Co ombre mini jelly roll. 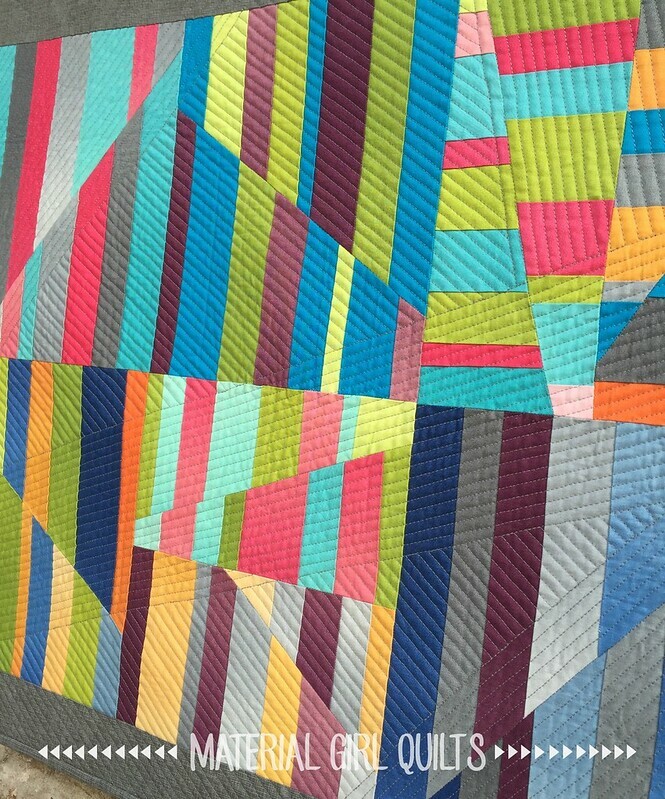 I love the colors and variation it brings to the quilt. This has inspired me to set a goal for 2016 and pull out all of my old WIPs to get them completed.